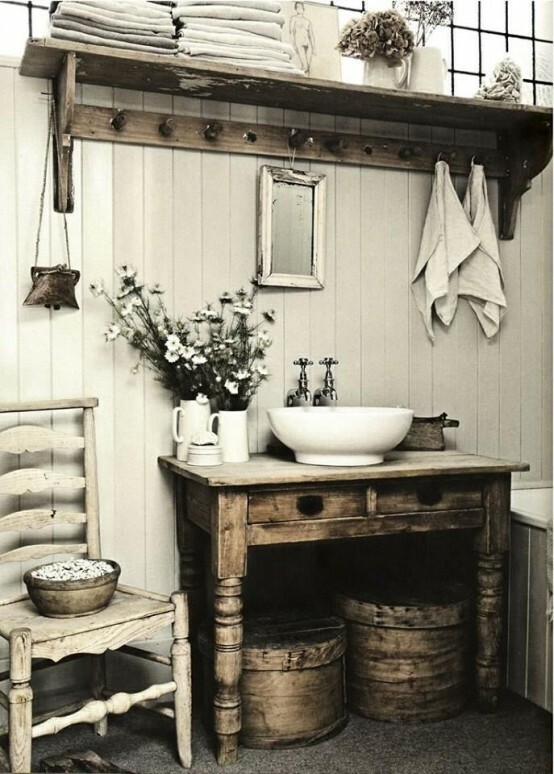 I admire the farmhouse style because it’s amazingly cozy and inviting; spaces done in this style make me recall them often and with pleasure. 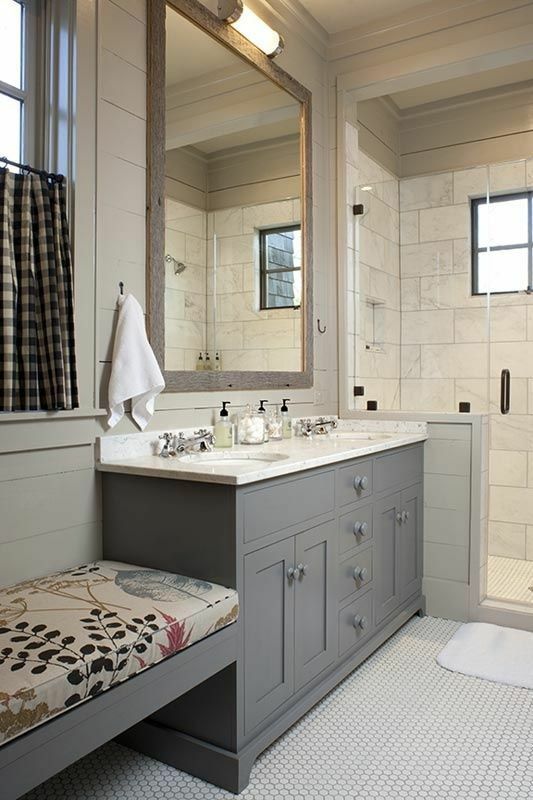 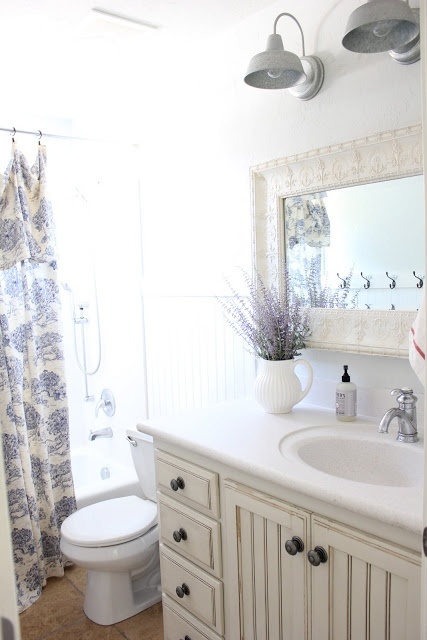 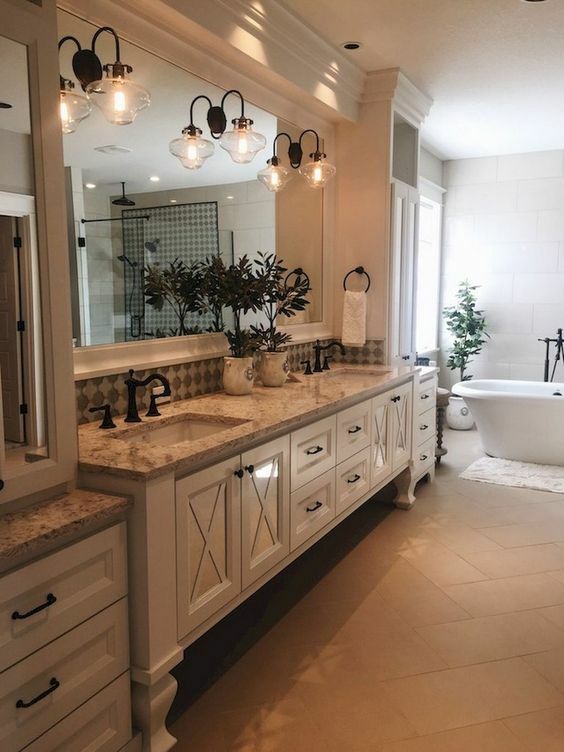 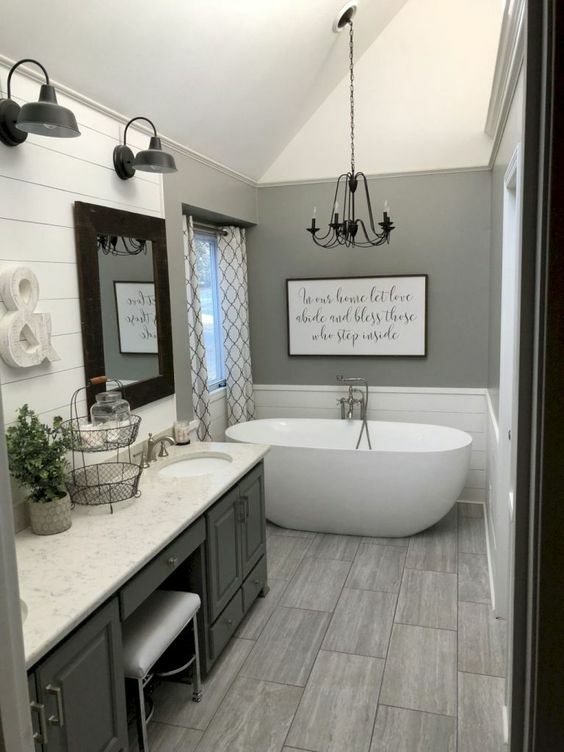 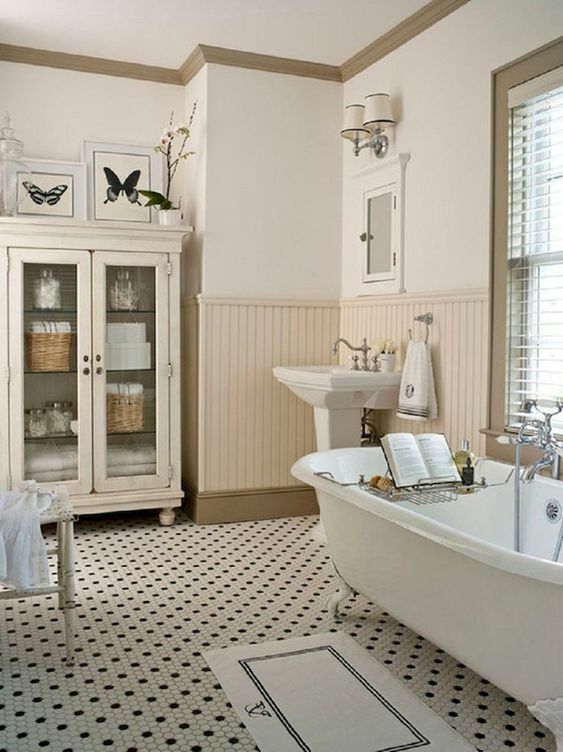 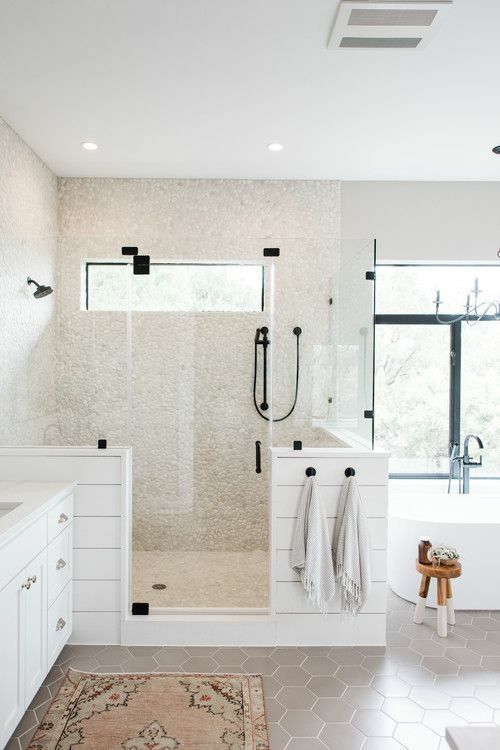 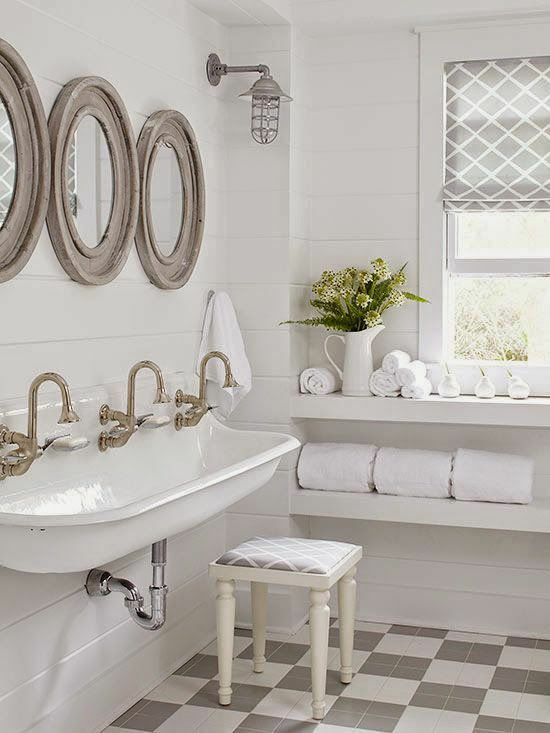 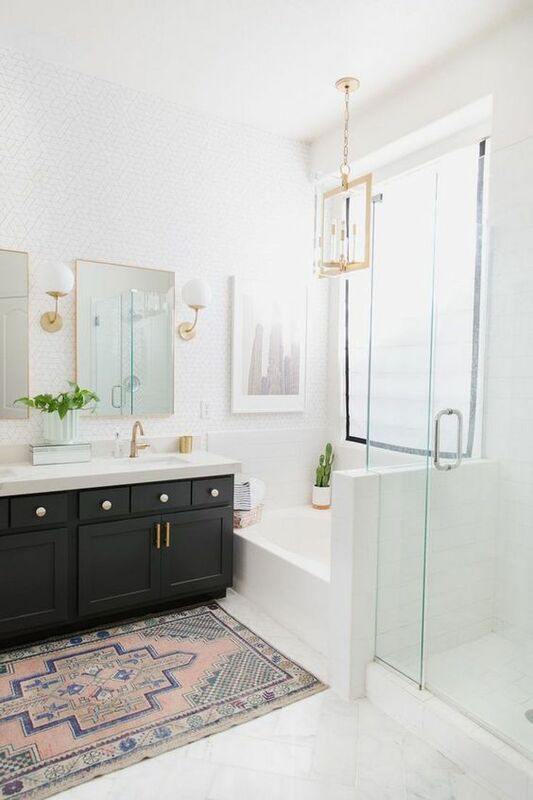 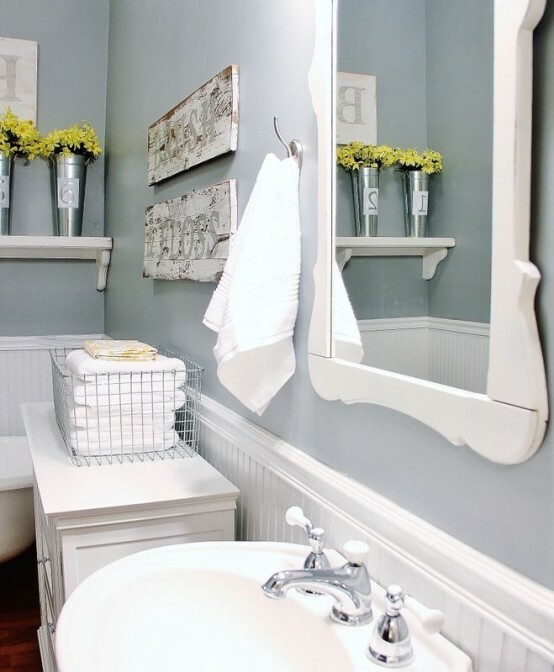 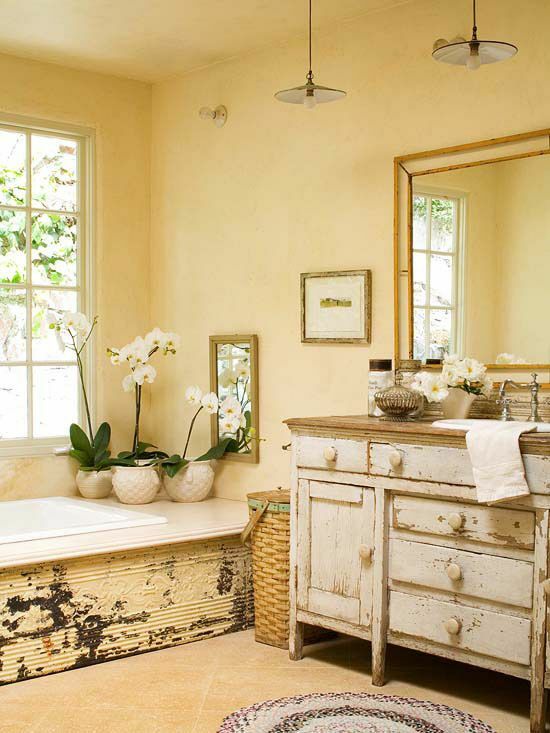 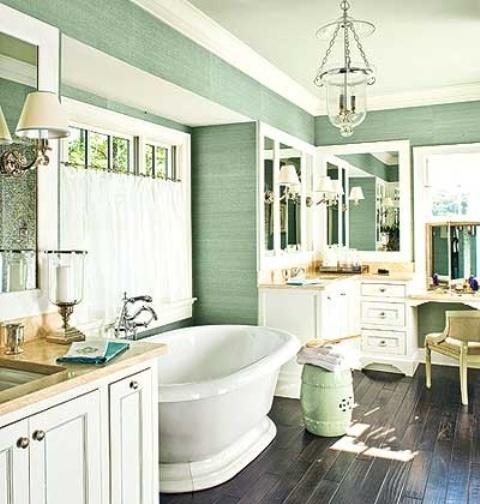 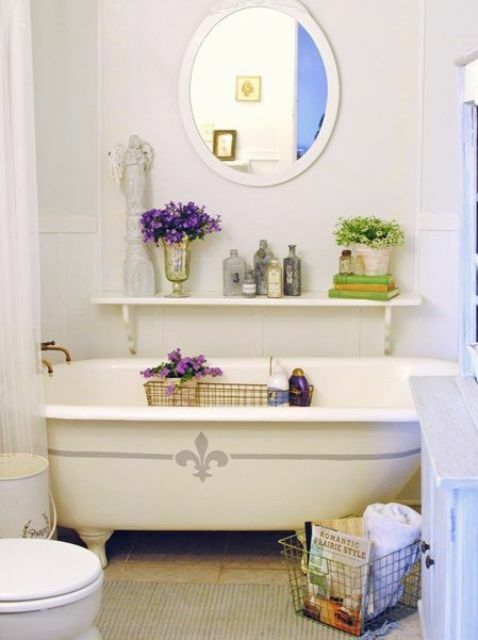 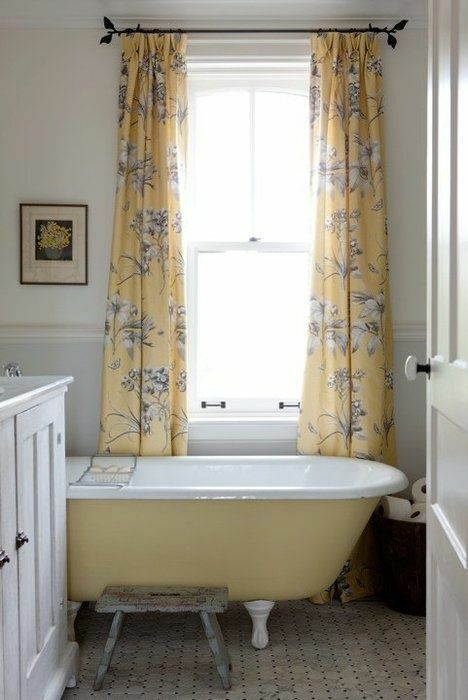 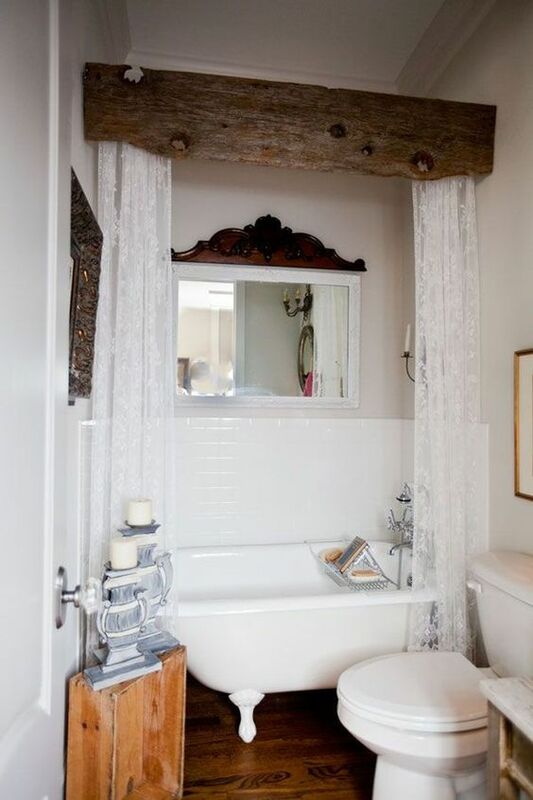 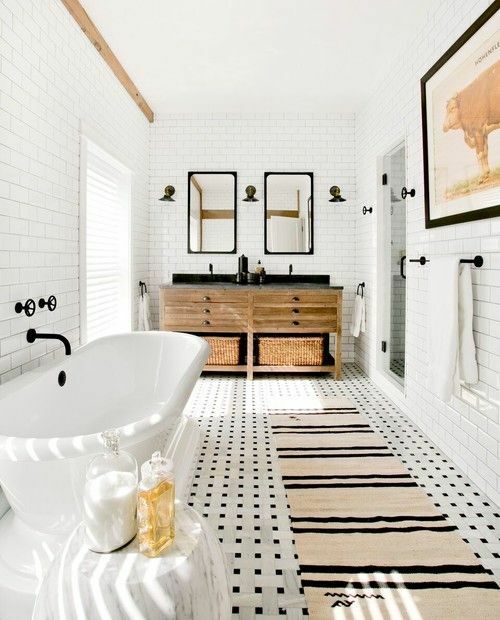 Today I’ve rounded up some cool ideas to make your bathroom look like that, and I’m sure that it won’t cost you a lot. 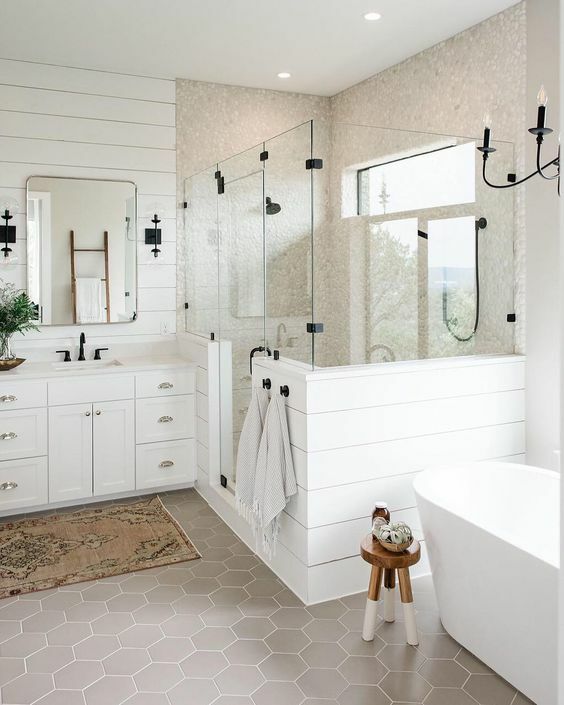 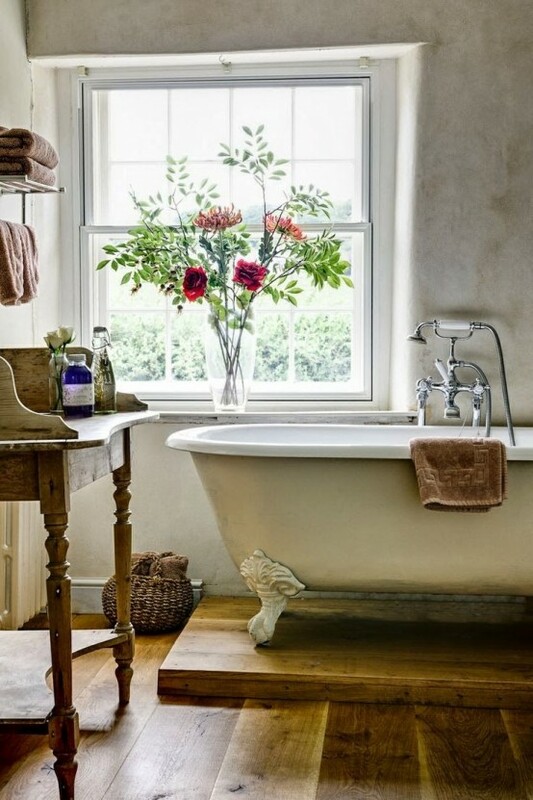 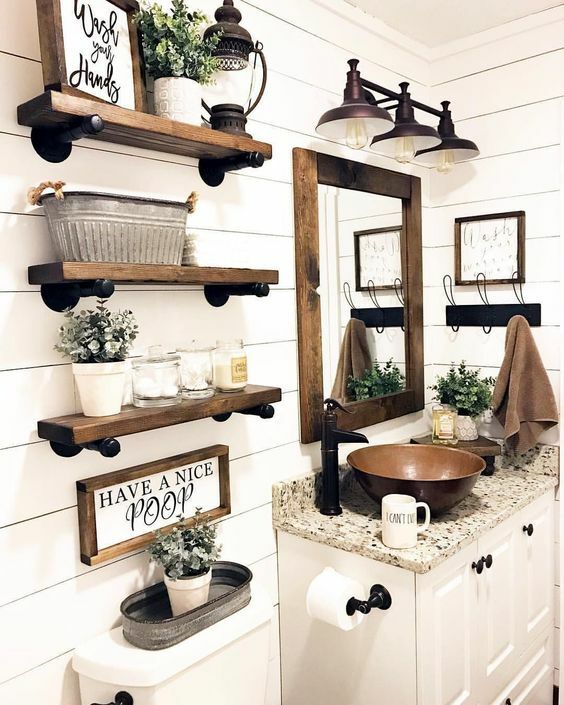 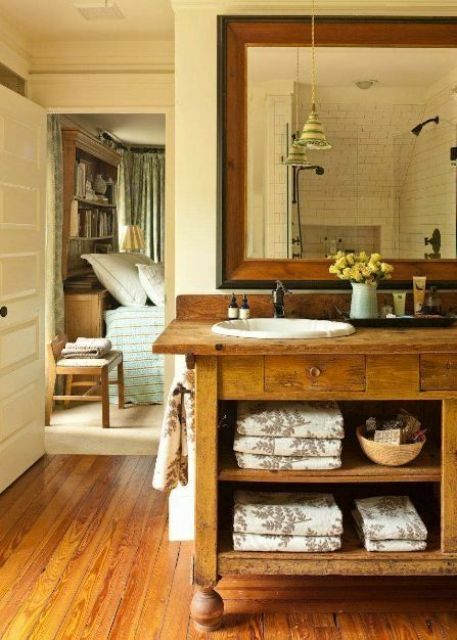 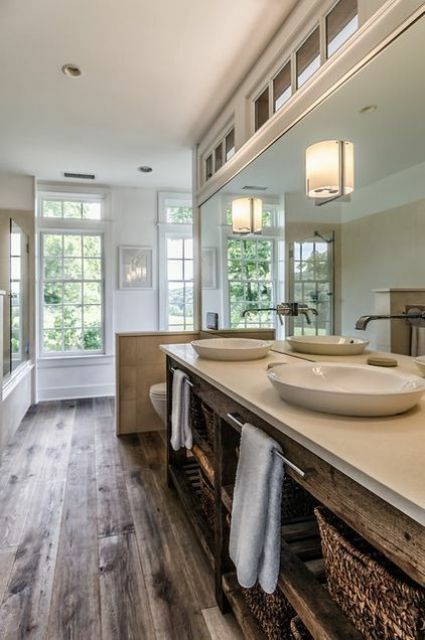 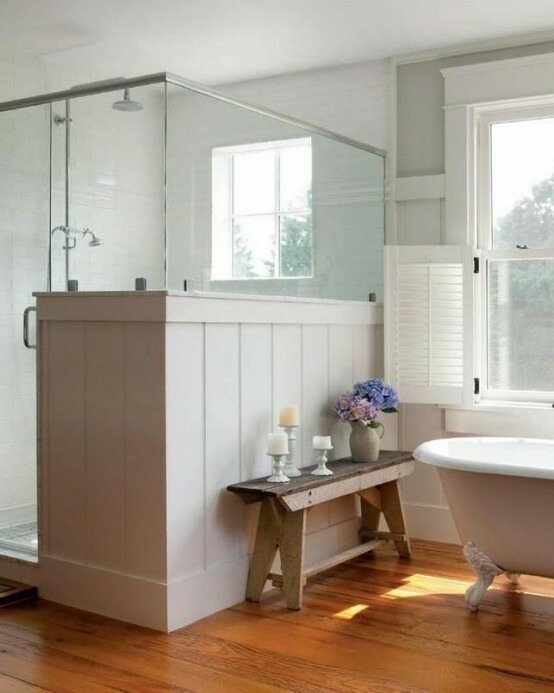 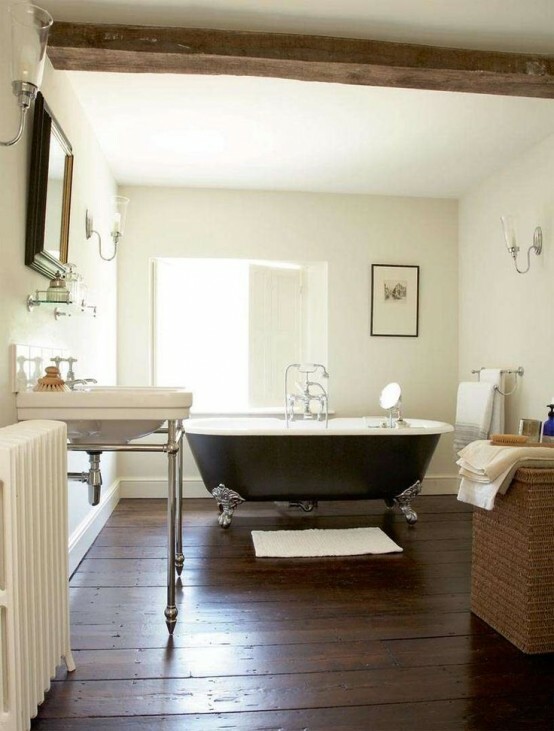 Extensive use of wood is rather popular now, and in a farmhouse bathroom it’s a necessity because what a farmhouse space without wood? 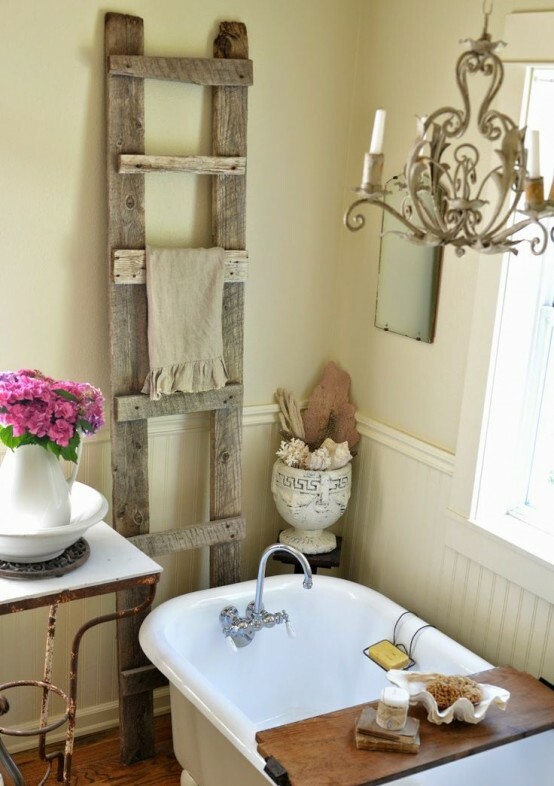 A vintage ladder for storage, shabby and rustic signs, rough wooden frames – and you are on your way to a perfect farmhouse bathroom! 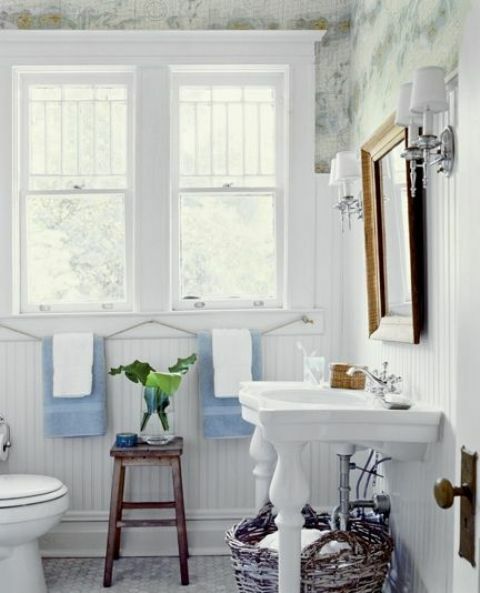 Look at the creative examples below and get inspired! 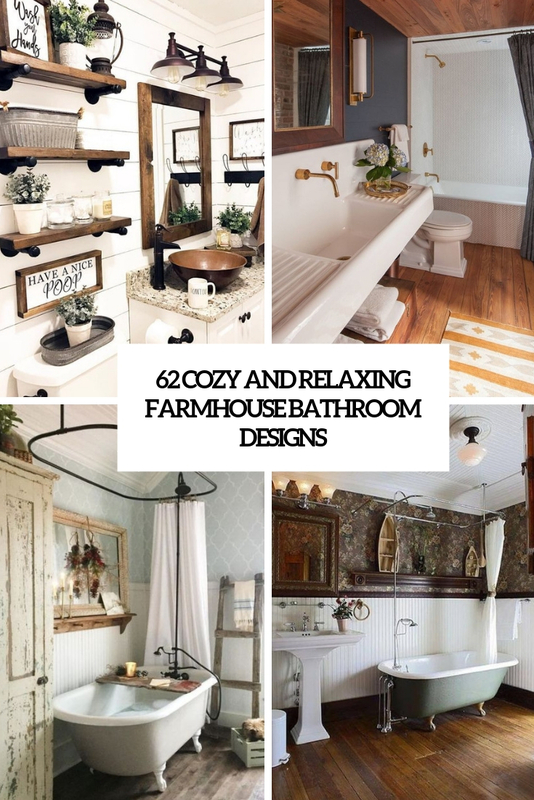 Farmhouse style is mostly about neutrals of various kinds: white, off-white, greys, sandy and earthy tones, taupe and other shades. 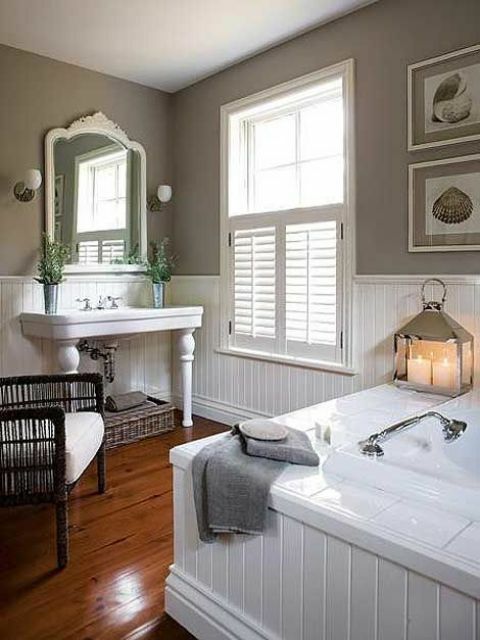 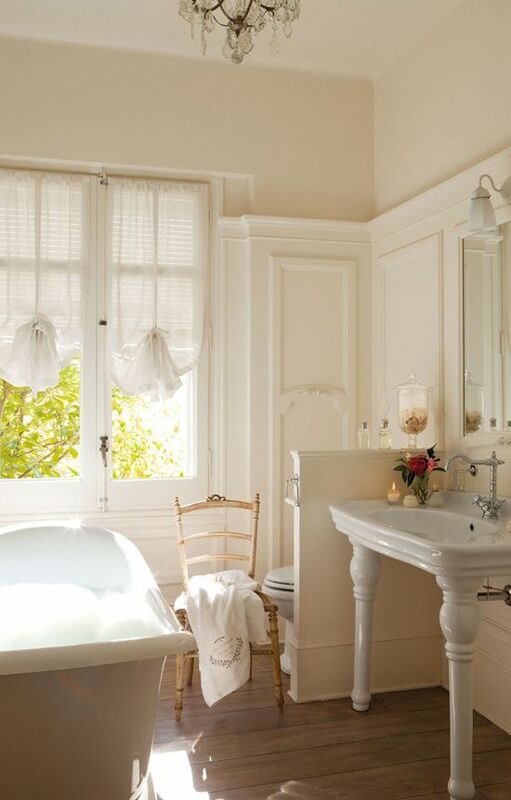 You may refresh greys, sandy and taupe shades with creamy and white achieving a welcoming look. 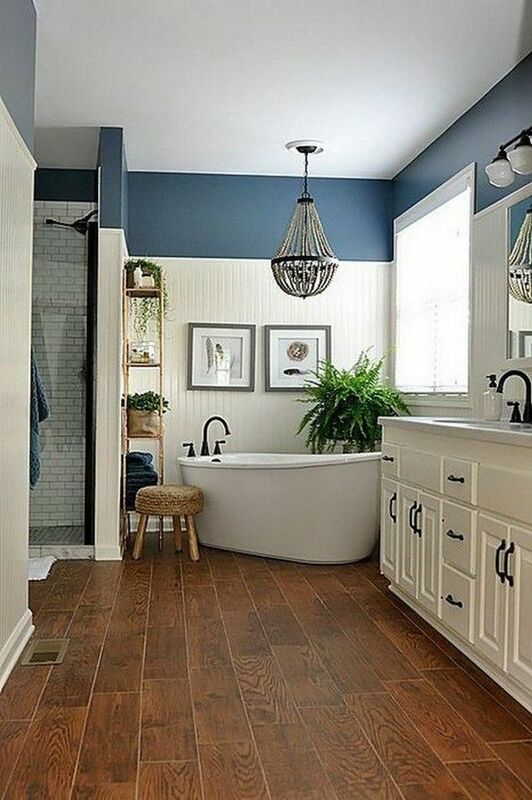 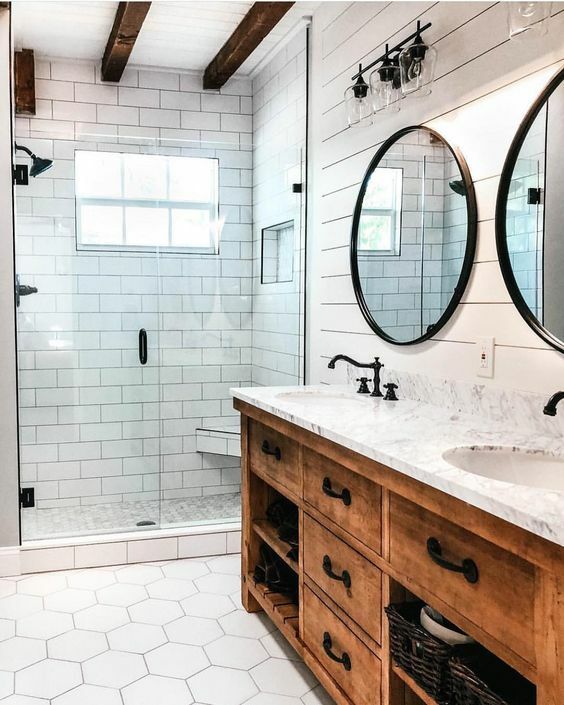 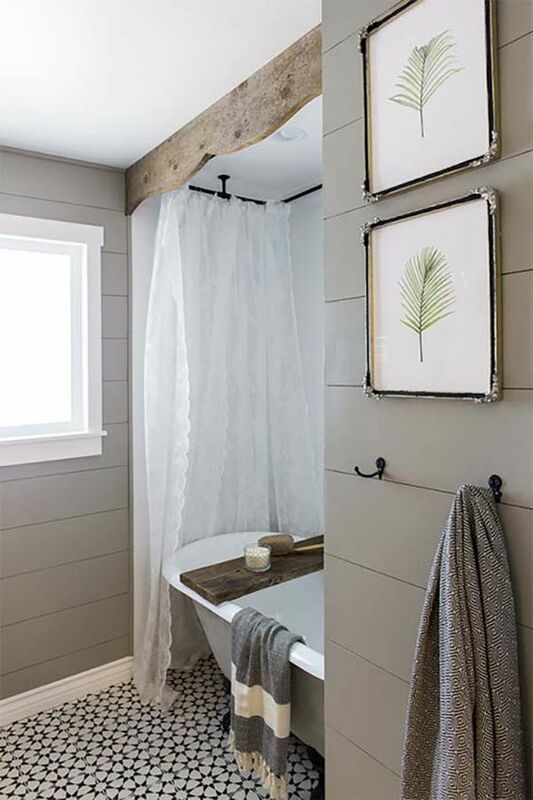 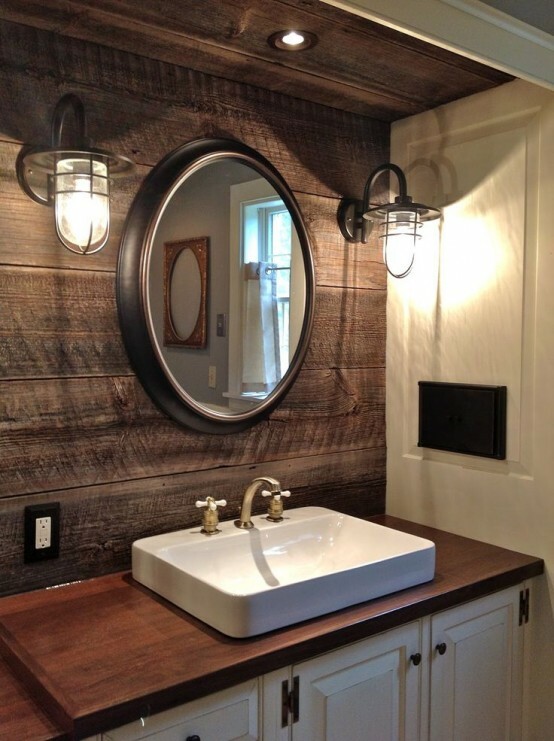 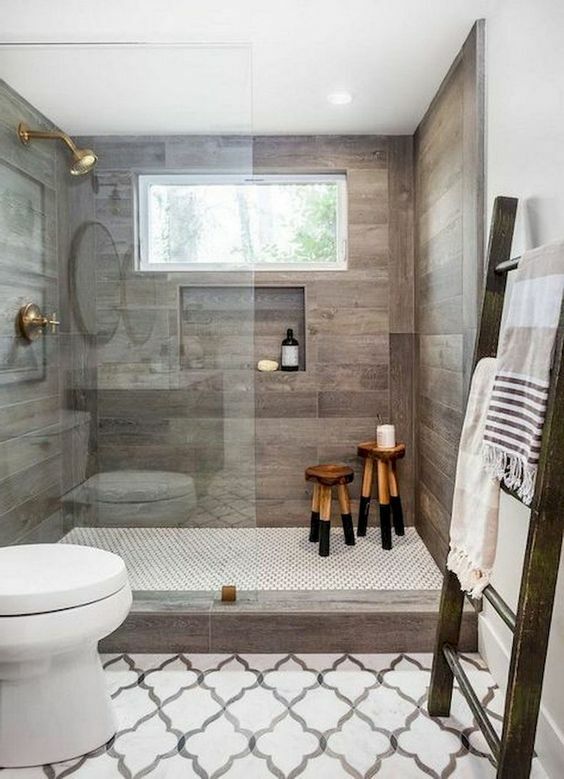 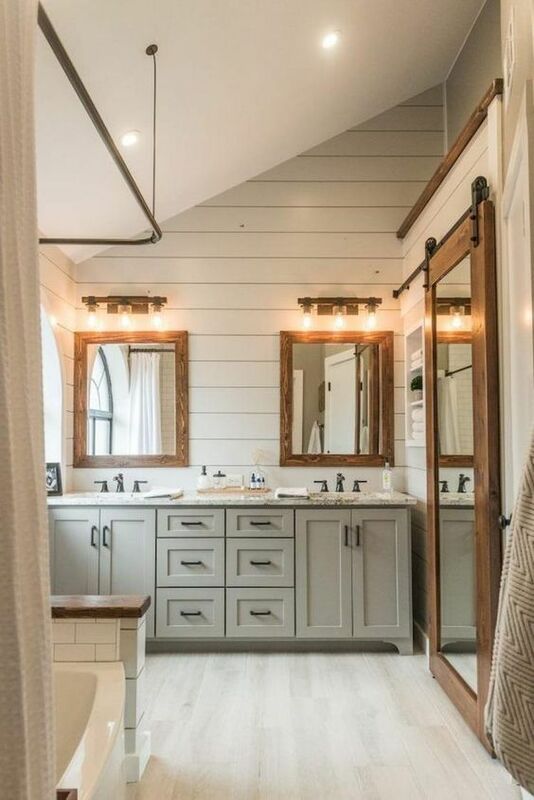 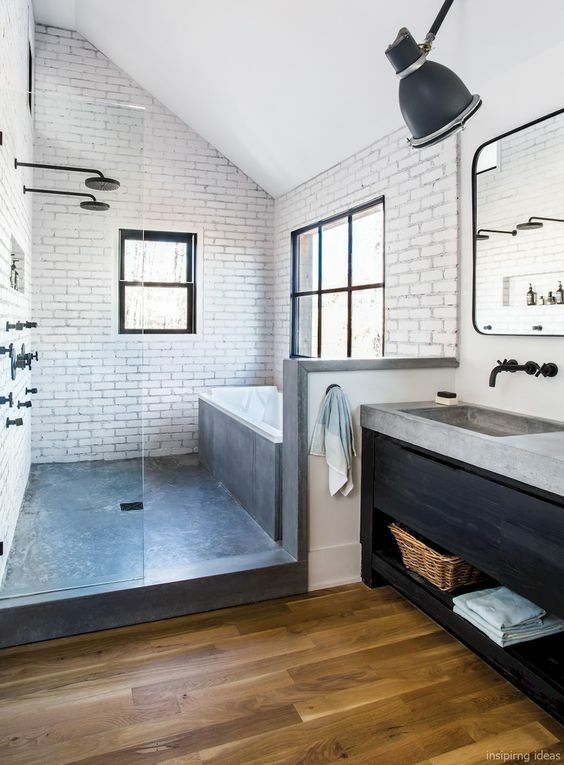 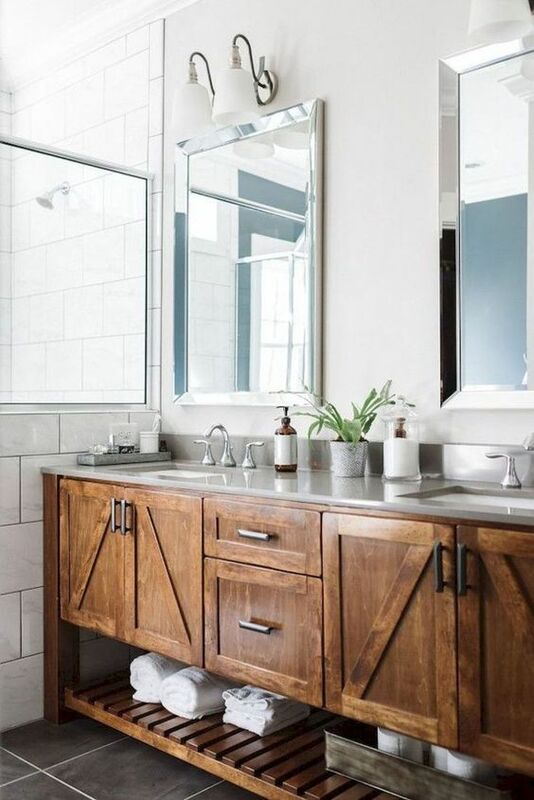 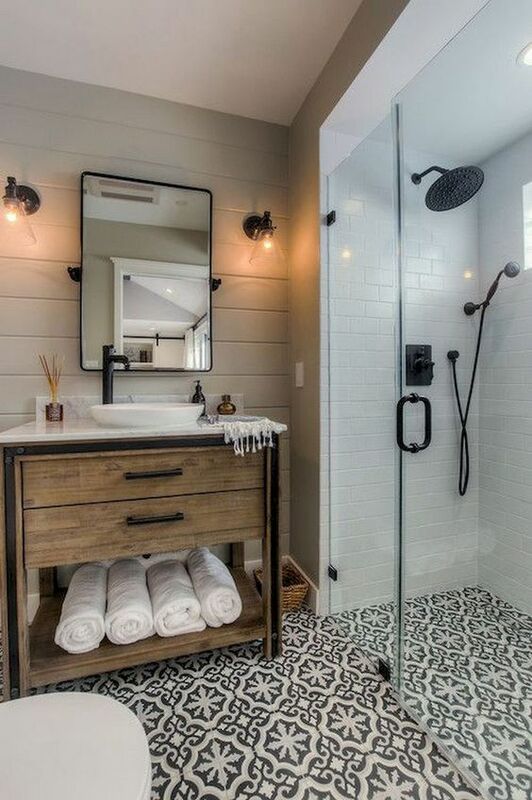 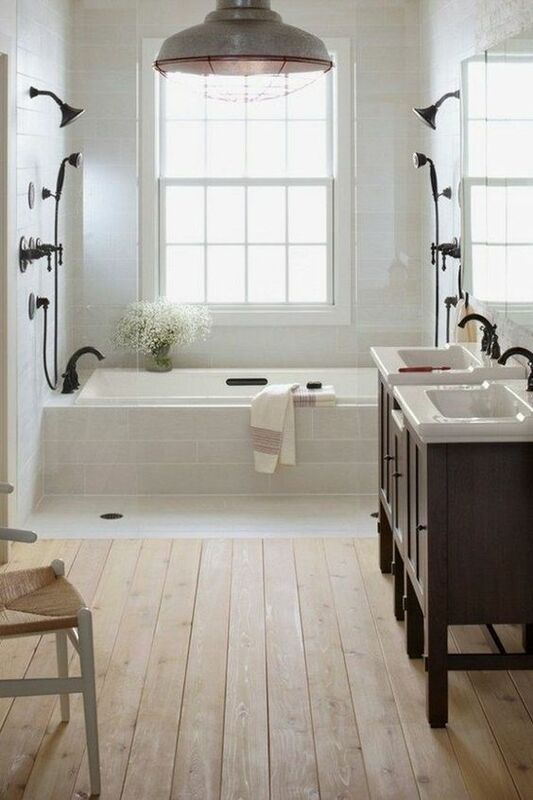 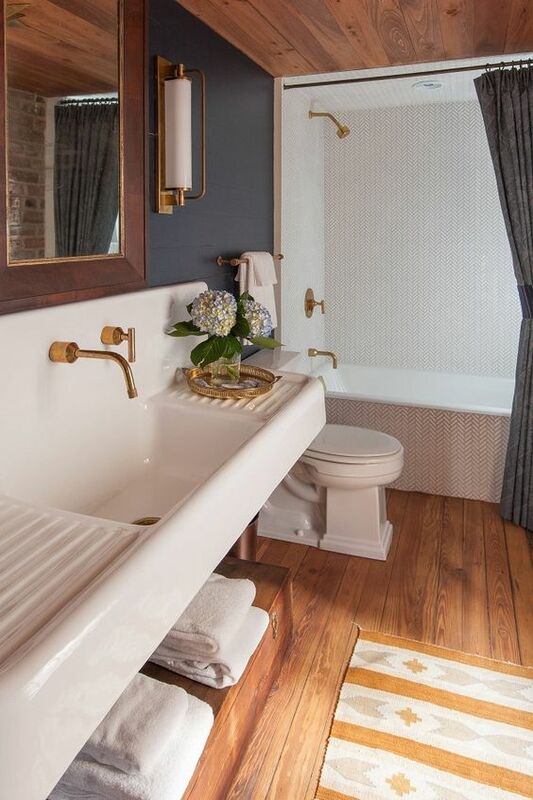 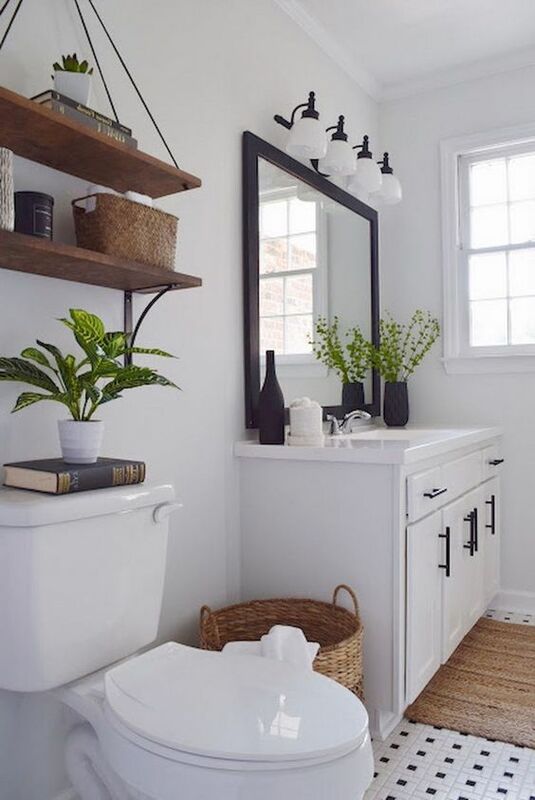 Modern farmhouse bathrooms can be done with touches of black, chocolate brown and navy. 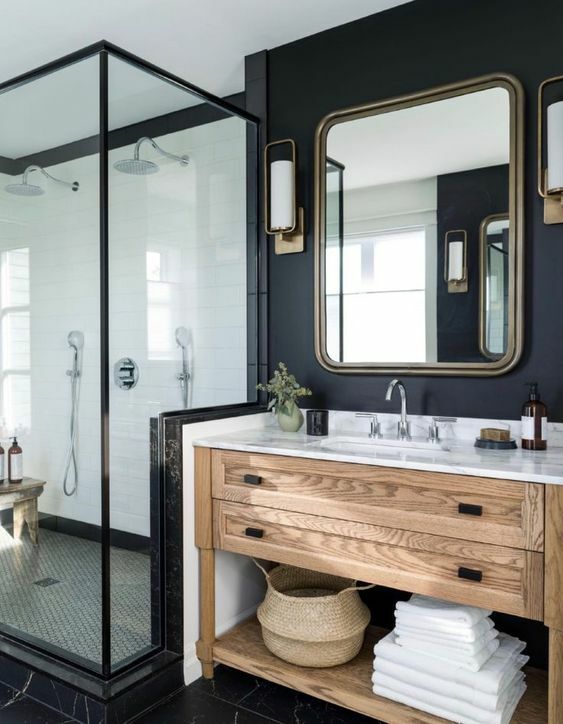 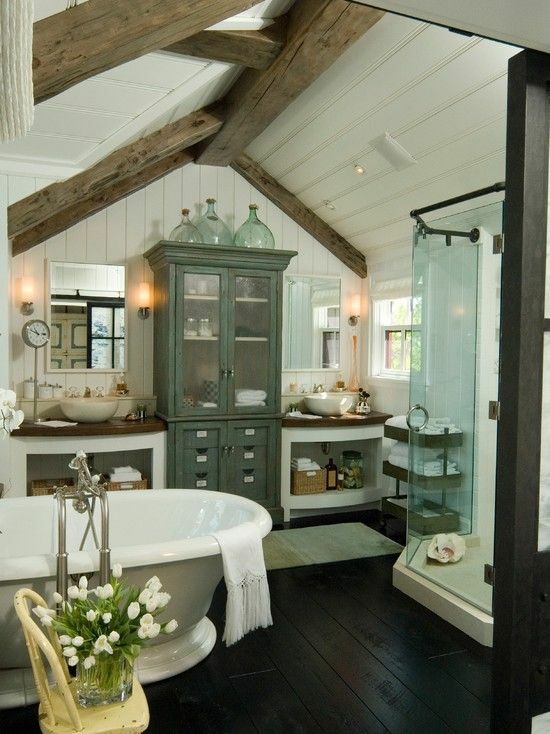 Black fixtures always add a touch of drama to any color scheme. 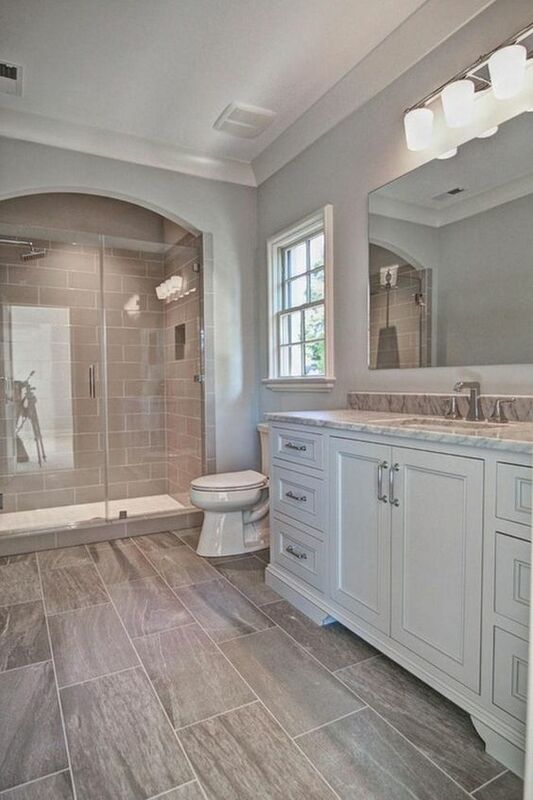 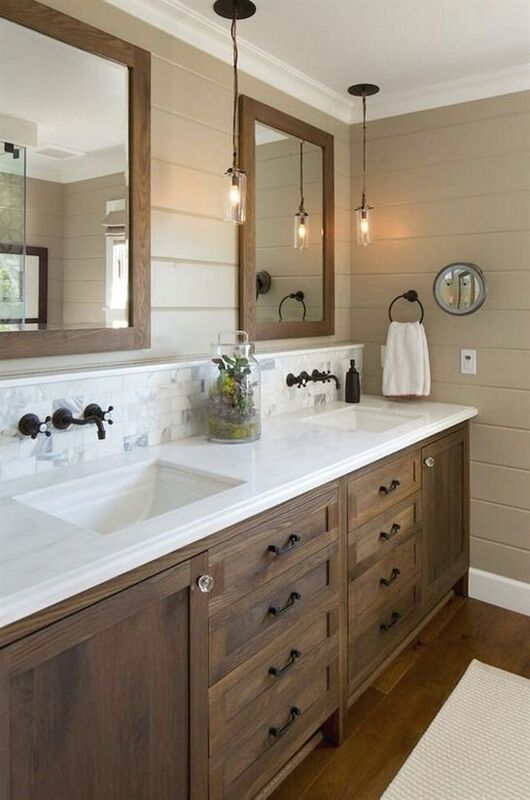 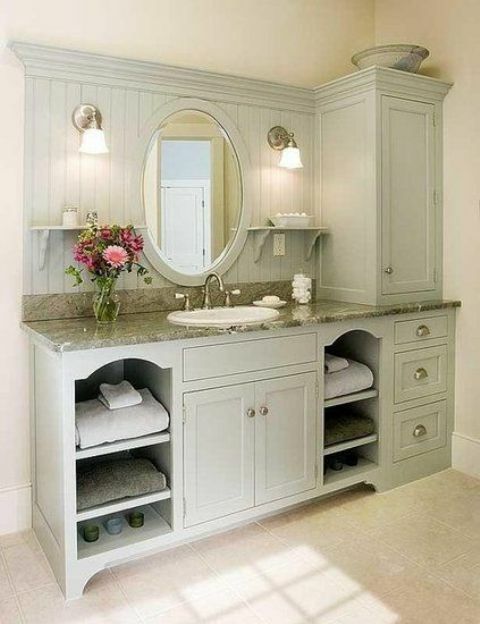 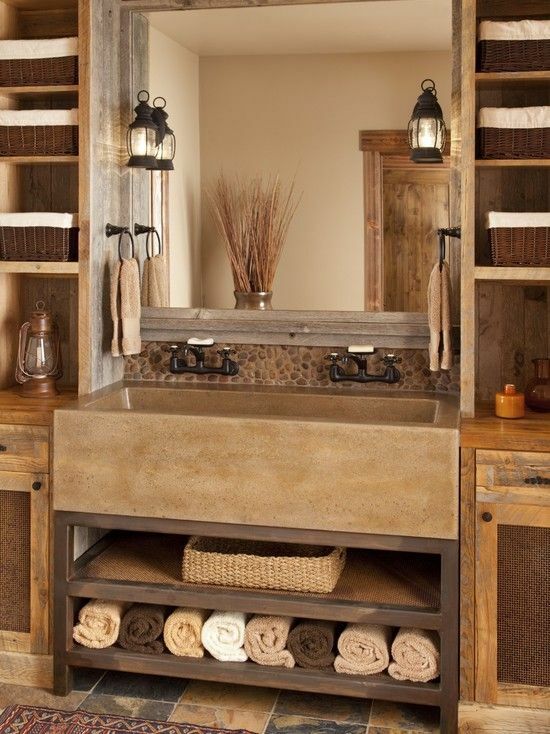 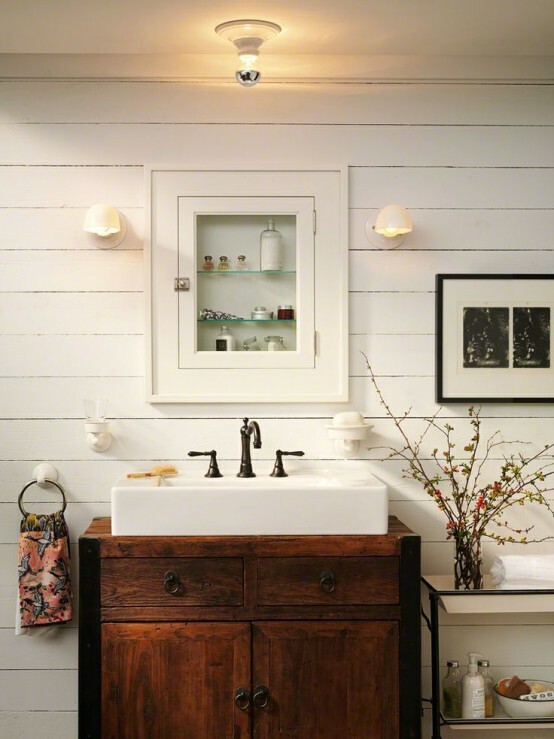 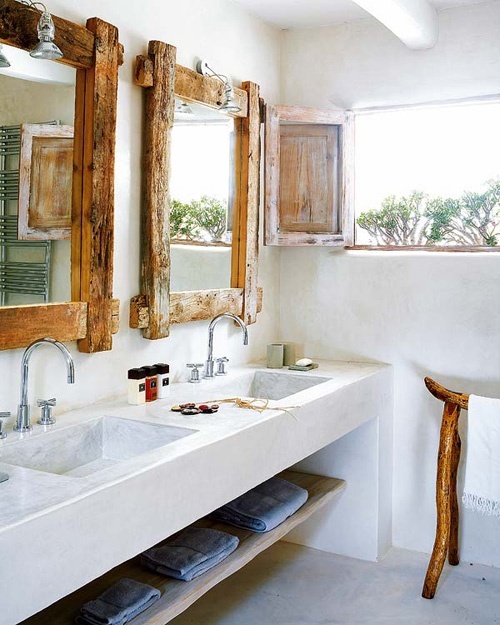 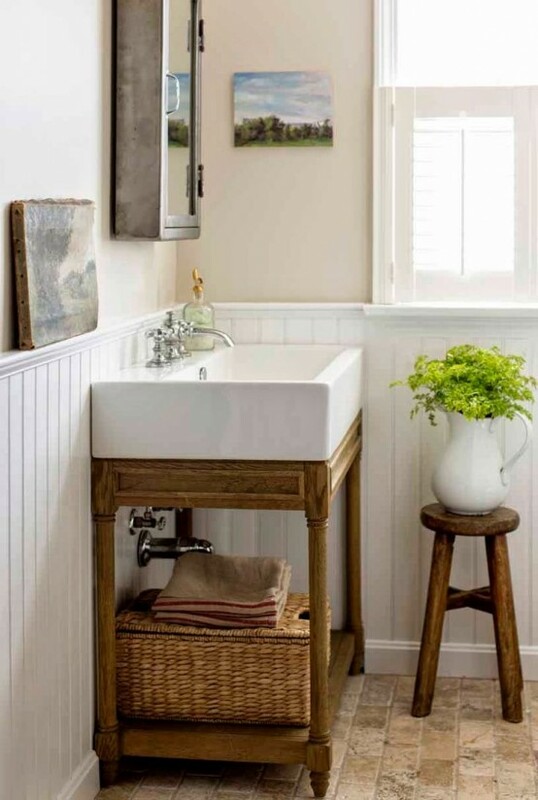 The main material that should be always present is wood – even if there’s only a vanity and a stool, they are a must. 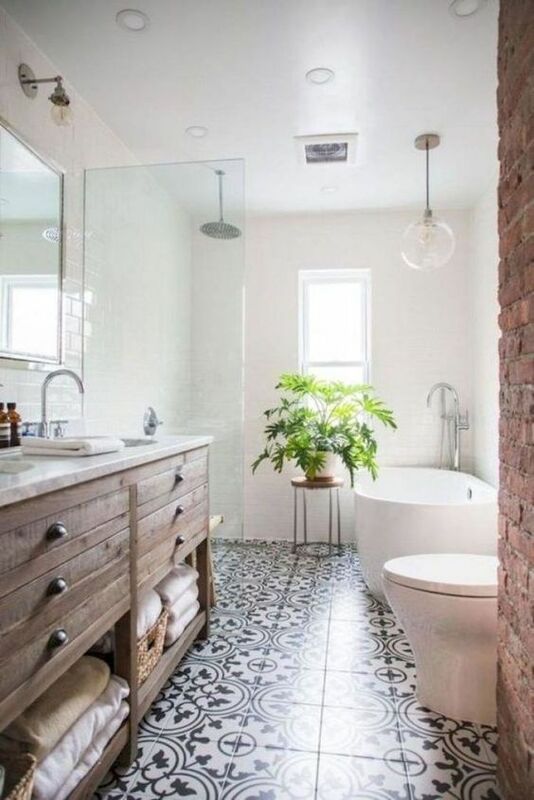 Tiles of various looks are also welcome, and concrete can be used in more modern spaces. 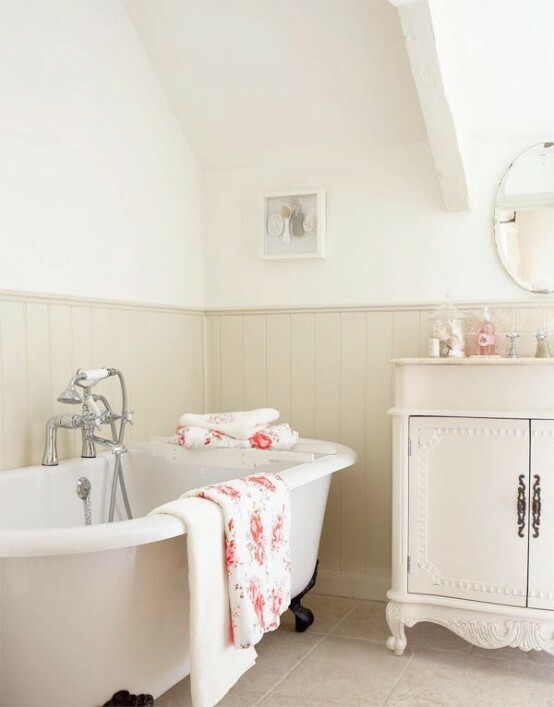 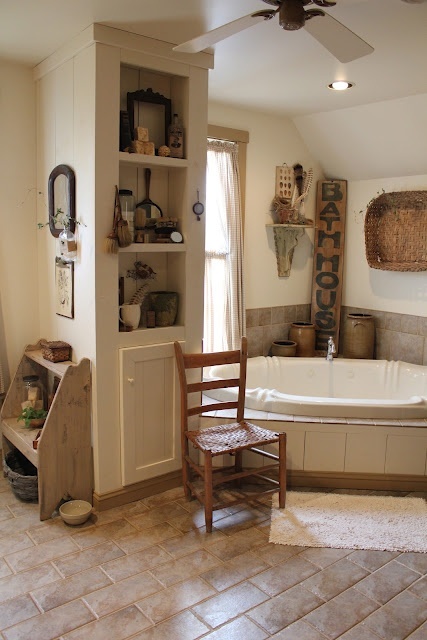 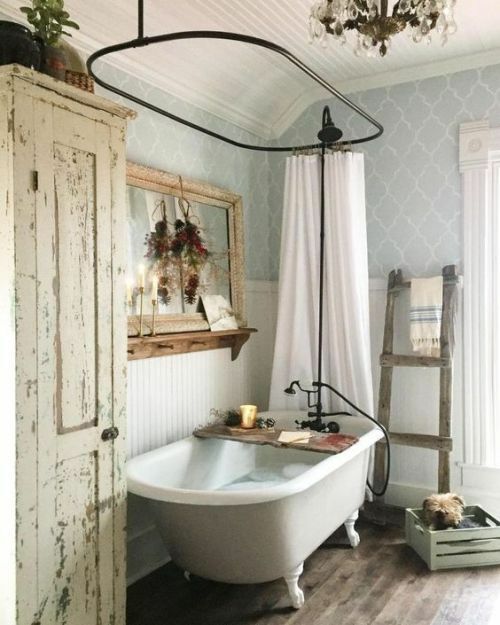 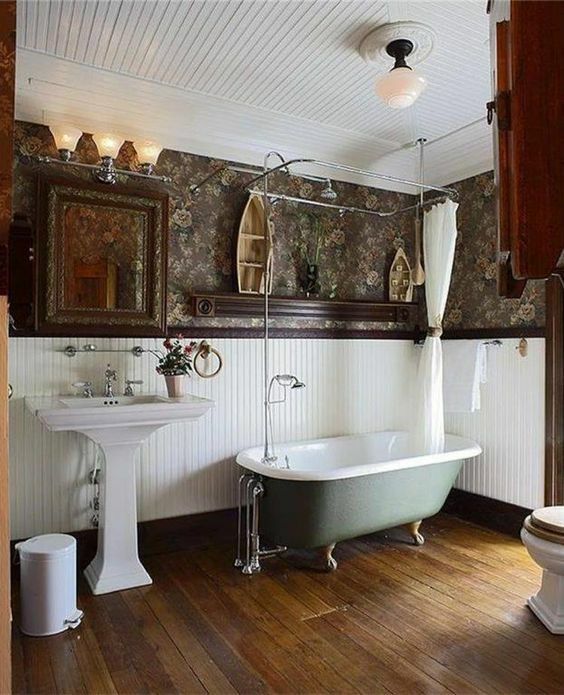 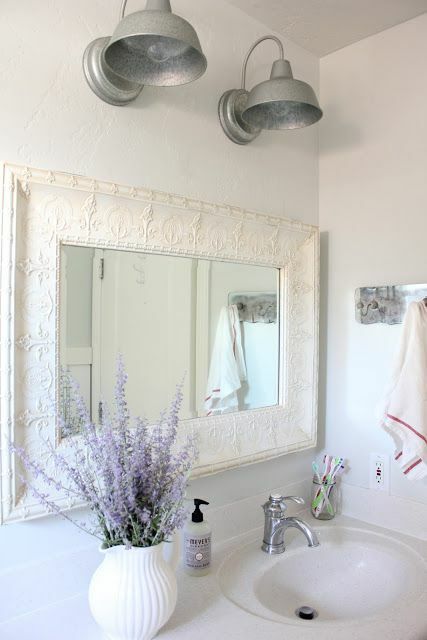 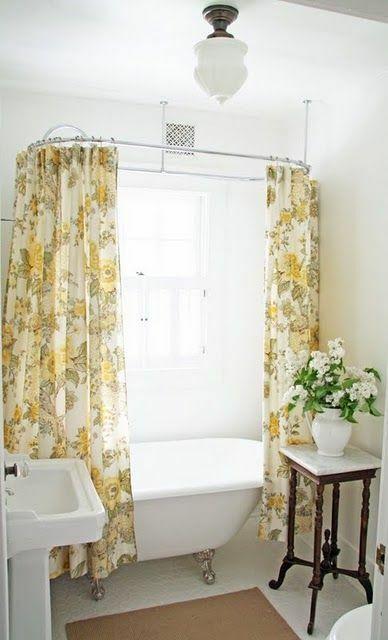 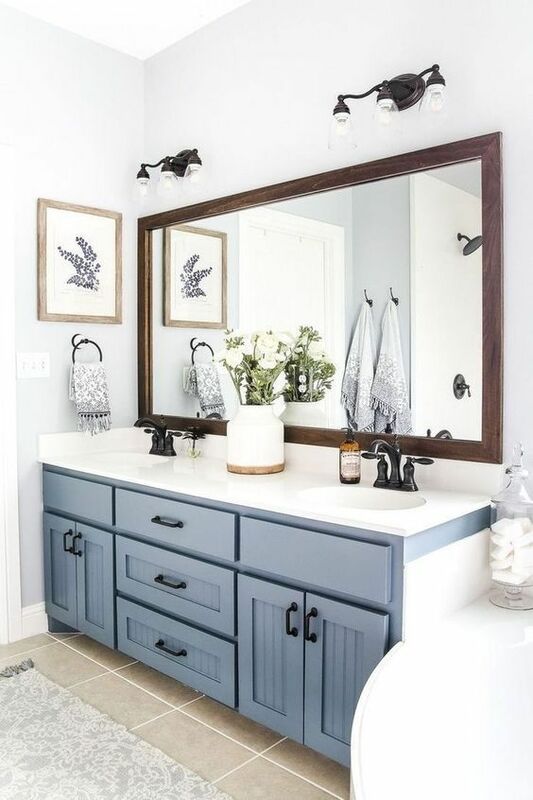 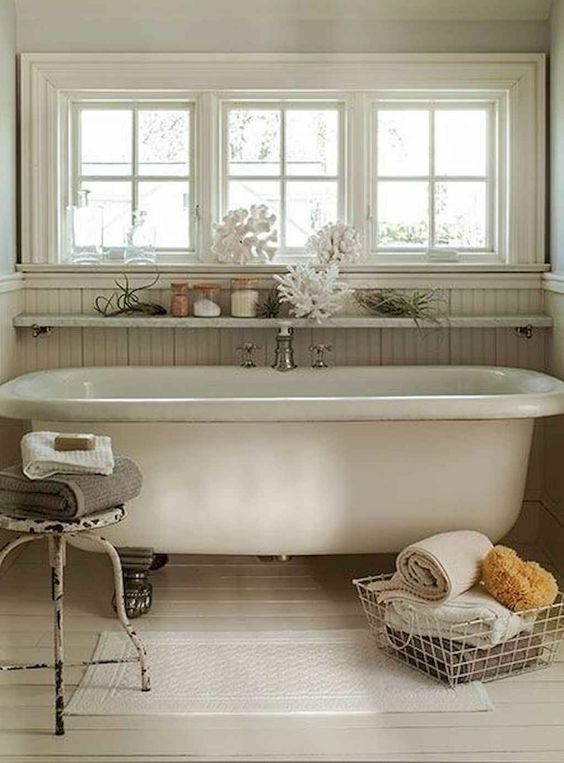 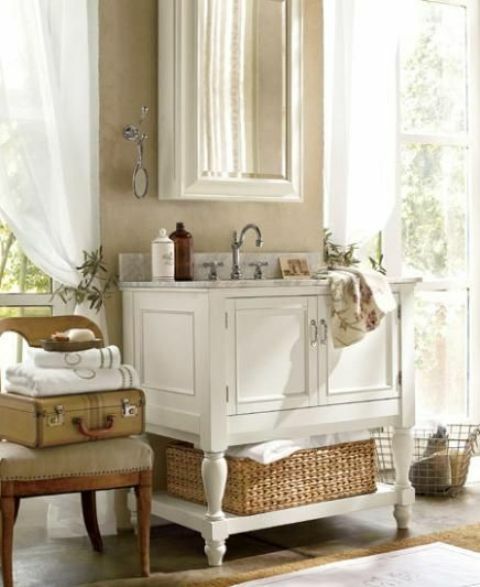 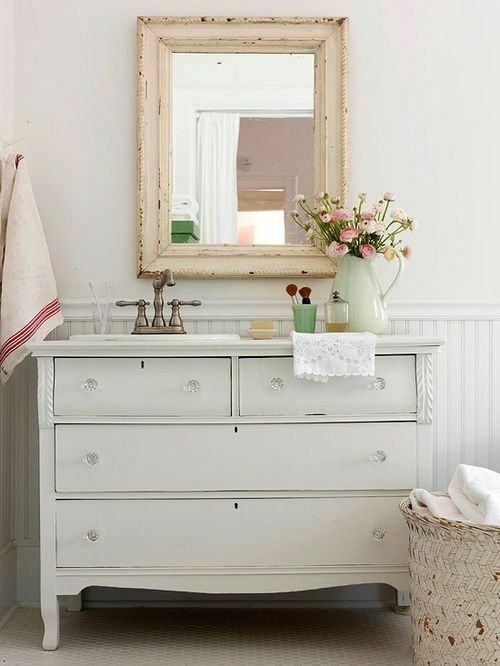 As for furniture and appliances, it depends on the feel you wanna create – a vintage farmhouse bathroom can be done with vintage furniture and a clawfoot tub, a modern farmhouse bathroom will fit contemporary furniture and a shower space. 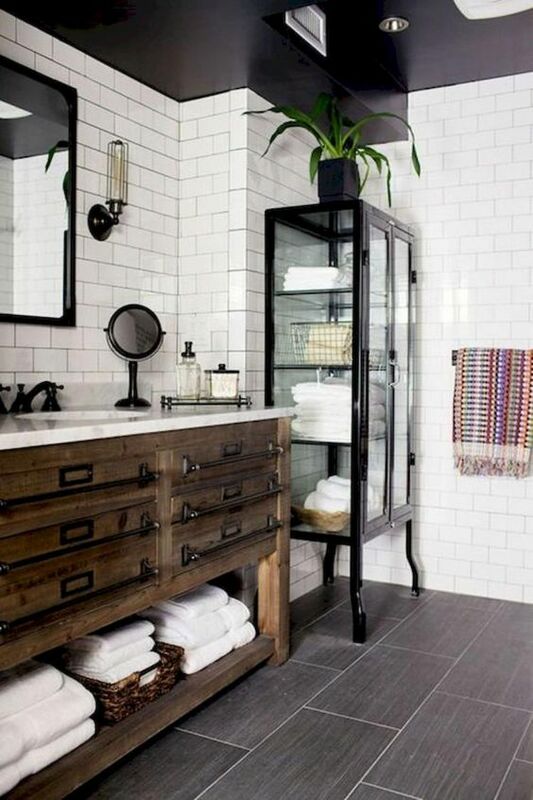 Add framed mirrors, pendant lamps and crystal chandeliers, rugs and wooden shelving and go!